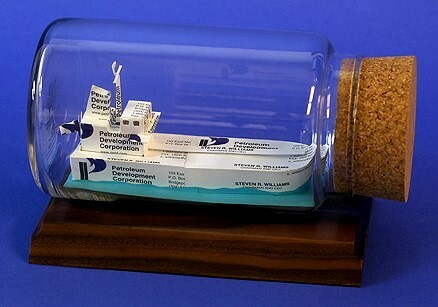 Our new Oil Tanker is another sculpture under glass, similar to our Oil Pump and Oil Well, that would be a perfect gift for an investor, trader or anyone in the petroleum industry. Makes a great award because it’s made from the recipient’s business cards! 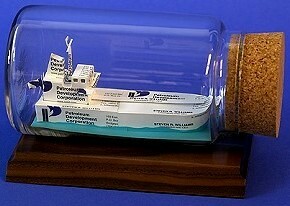 Also, see our new LNG Ship Sculpture or our Oil industry awards ideas. This design is one of our most detailed and is handcrafted using 20 business cards.